Born in Massachusetts and educated at the Bridgewater Academy in North Middleborough, Enoch Pratt clerked in a Boston hardware firm before moving to Baltimore in 1831 to launch his own wholesale hardware business on South Charles Street. In 1851 Pratt and his partner invested in Western Maryland coal mines and iron yards in Canton. They made their own merchandise, thereby ending their dependence on northern manufacturers. Pratt gave much of his time and wealth to Baltimore’s cultural and charitable institutions. 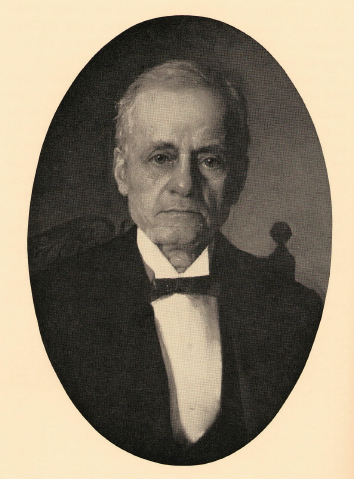 He served as a trustee of the Peabody Institute as well as treasurer and chairman of its library committee. He founded the House of Reformation and Instruction for Colored Children at Cheltenham and the Maryland School for the Deaf and Dumb at Frederick. In 1865 he donated a free school and public library to his hometown in Massachusetts, and in 1881 began construction of an imposing white marble structure on Baltimore's Mulberry Street that opened five years later as the Enoch Pratt Free Circulating Library. 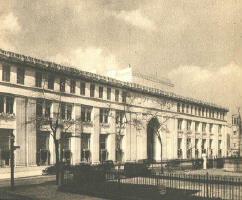 The main branch of the library is now located on Cathedral Street. Twenty-two branches serve patrons throughout Baltimore. Today the nationally admired Enoch Pratt Library stands as one of the premier resource libraries for the state of Maryland. Pratt's office on South Charles Street was spartan, furnished with simple clerk's desks with high stools. The office was warmed by an old-fashioned Franklin heater which Pratt himself fed from a woodpile in his warehouse.